With only five months left before the midterm elections, Mueller says that election tampering by Russian individuals and entities continues. While the world was watching the drama with the North Korea Summit meeting playing out, the wheels of justice were quietly humming in the background. NBC News reported earlier this week that Special Counsel Robert Mueller told a judge on Tuesday that foreign efforts to meddle in U.S. elections was ongoing. The filing seeks to protect evidence requested by one of the companies, Concord Management and Consulting LLC… who prosecutors allege is close to Russian President Vladimir Putin and has had “extensive dealings” with the Russian Defense Ministry. Attorneys for Concord Management are claiming that they need access to discovery evidence gathered by Mueller’s team, but Mueller is insisting that they must first appear in court and agree to restrictions barring them from sharing that evidence with others. The motion, which is signed by Mueller, says Concord Management’s co-defendants must appear in court to agree to his restrictions. Allowing wider access to the evidence without such agreements would jeopardize “sensitive information that remains relevant to ongoing national security investigations and efforts to protect the integrity of future U.S. elections,” it said. [Mueller] alleges that releasing evidence improperly “would assist foreign intelligence services” — especially the Russian Federation. “The substance of the government’s evidence identifies uncharged individuals and entities that the government believes are continuing to engage in interference operations like those charged in the present indictment,” Mueller said in the filing. 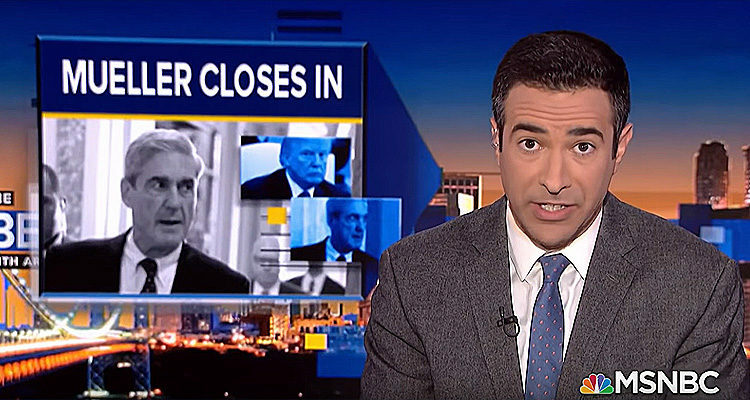 You can watch a news clip by MSNBC discussing Mueller’s filing.